Yesterday we provided catering at the fantastic Production Futures. Production Futures is your next step into the world of live events. This is a free-of-charge opportunity for students and freelancers to come face to face with some of the most well-known companies and individuals in the production industry. 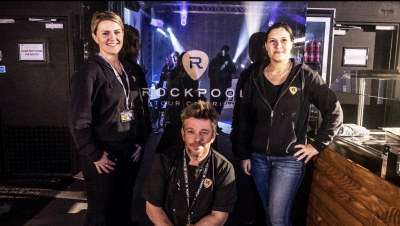 Our amazing Rockpool team served over 800 people on the day and provided a pop up cafe & hospitality bar in the event arena. We were also asked to provide street food for the evening event with an authentic burrito bar were we served 262 people in 30 minutes. As always it was an absolute pleasure to work with the TPi team.